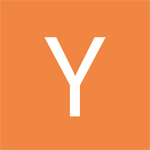 Y Combinator held today its semi-annual Demo Day. This time it’s for YC W14, which contains 64 companies. 57 of these startups either presented at today’s demo day or have already launched in the press. Below are all the known companies in YC W14. 42 is a big data platform for retailers. 42 provides a web-based platform that analyzes and dissects existing point-of-sale data to provide greater insight into customer profiles, consumer buying patterns, customer loyalty, and personalized consumer marketing. This data equips brands to reach customer segments or individuals with more personalized recommendations. Abacus is a simple, fast way for businesses to reimburse their employees for company expenses. Abacus has re-imagined expense reporting from the ground up if it had been born mobile. AirHelp helps air passengers get compensation from airlines when their flight has been cancelled, delayed or overbooked. 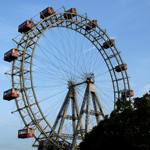 AirPair is an extensive network of experts with deep knowledge across many technology stacks and solutions. AirPair accelerates software development by “pairing” experts with engineers in real-time via video and screen sharing – leading to faster development, better software, and reduced costs. Algolia is Search as a Service. We enable developers to make their apps or websites smarter with an outstanding search experience. Algolia is designed to champion the mobile experience with instant results, support for typing mistakes, and GPS position awareness. Ambition is fantasy football for sales organizations. It’s a productivity tool masquerading as a game that replaces the spreadsheets, whiteboards, and even gongs used today. By gamifying sales, Ambition provides recognition, transparency, and competition while simultaneously encouraging collaboration and team cohesiveness. AptDeco is an online marketplace for buying and selling quality preowned furniture. AptDeco offers a complete end-to-end process to bring back the joy of discovering amazing furniture finds again. Beacon Reader allows readers a way to support and get access to high quality journalism. Beacon’s approach is basically a form of crowdfunding. On Beacon Reader, readers browse through different authors and their projects on the site and if they find one they like, they can buy a subscription. There are different subscription levels starting at $5/month. Beacon already has more than 70 journalists located in 30 countries. Bellabeat enables pregnant moms to experience the joy at listening to their unborn baby’s heartbeat and share their experience with their loved ones through the social media or intimately. The Bellabeat team believes that by giving women a way to autonomously track and share their pregnancy experiences this engaging, comforting and enjoyable at-home experience will become a part of the contemporary prenatal care. Benchling makes it easy to edit, analyze, and collaborate on DNA sequences. Boostable makes advertising easy and effective for sellers on marketplaces. Cambly provides instant access to native English speakers over video chat. Language partners help you practice conversation skills, pronunciation, and any other English skills you’d like to improve. Camperoo provides an online marketplace for parents to discover, plan, and book summer camps and activities for their kids. Its marketplace lists camps and activities in various categories, including sports, academics, adventure, arts, teen, special interest, religious, special needs, overnight, sales, online, and birthday parties. The company was incorporated in 2013 and is based in Houston, Texas with locations in Austin, Chicago, Dallas, Houston, and San Francisco/Bay Area. CareMessage (previously, Anjna Patient Education) is a Stanford University born nonprofit organization with the mission to improve health literacy and disease self-management for underserved populations. The CareMessage platform enables healthcare organizations to facilitate communication and outreach to promote engagement and better self-care. CodeNow is a nonprofit focused on teaching under-represented youth to code. We provide free out-of-school training hosted at local tech companies. CodeNow aims to teach programming basics to high schoolers, particularly girls, ethnic minorities, and other underrepresented groups. CodeNow launched in Washington, D.C. in 2011 and has expanded to New York City and San Francisco. The Dating Ring is a group matching site. The concept is to get people meeting one another by matching up users in groups of six and potentially start dating. The service is currently available in New York City and San Francisco. Eventjoy makes events easier to organize and more interactive. Eventjoy is changing how organizers share information at their events, how they engage their attendees, and the attendee experience. Framed Data takes data from businesses and turns it into actionable insights and decisions. We train, optimize, and store productionized models in our cloud and provide predictions through an API, eliminating infrastructure overhead. We provide dashboards and scenario analysis tools that tell you which company levers are driving metrics you care about. Gbatteries is a battery management system (BMS) that increases battery capacity and cycle count. BatteryOS is a new way of controlling rechargeable lithium-ion batteries that enables any normal battery to have higher capacity and not degrade over time. Gbatteries also recently launched BatteryBox, a 50Whr backup battery for MacBooks and other gadgets. Gobble is an online marketplace for home-cooked food. Local chefs can build a personal online storefront and offer their meals to nearby families and companies. HoverChat is an Android app focused on making messaging part of a multi-tasking experience by allow users to send/receive messages without leaving other apps. Immunity Project is a revolutionary vaccine platform being developed by scientists and entrepreneurs at Stanford, Harvard, and MIT. This vaccination approach relies on people medically identified as “controllers.” Controllers are statistically rare individuals whose immune systems can target the biological markers of a specific virus, forcing the virus into a dormant state. Immunity Project’s first vaccine transforms everybody that uses it into an HIV controller. Kimono is a smarter web scraper that enables you to API-ify the web. Kimono makes it easier to access data from the unstructured web with a point-and-click tool that can extract information from webpages that don’t have an API. For non-developers, Kimono plans to eventually allow anyone to track data without needing to understand APIs at all. MadeSolid makes high-quality materials (consumables) for 3D printers. MadeSolid makes materials for use in the two most popular types of 3D printers: FDM printers (like MakerBot) and SLA printers (like Form1). MadeSolid makes a material referred to as “PET+”, similar to ABS and PLA used in MakerBot-type printers. Memebox curates the most trusted and popular Korean beauty products at everyday prices. It offers consumers the flexibility to choose by steering away from traditional subscription-based programs offered by most other sampling services. Customers can order from Memebox only when and as often as they want. In addition to its box series, Memeshop carries full-sized products featured in previous Memeboxes. Move Loot is a convenient and economical way to buy and sell used furniture online. We pick up furniture from sellers’ homes, clean and store it in their warehouse, and then provide a seamless retail experience for buyers. Next Caller is advanced caller ID for businesses. We reduce cost and duration of customer service calls by sending caller profile data directly to answering agents. Next Caller’s API is already native with many business VoIP providers and customer service platforms. Noora Health is a non-profit with a hospital education platform for patients and their family to teach them the skills needed to recover from a major medical event or manage chronic conditions. One Degree is a highly-curated search engine for social services. One Degree helps low-income families find service providers like affordable housing and job training. One Degree is effectively a Yelp for social services. Orankl helps businesses sell more through smart email marketing and product reviews. Reviews are an important trust indicator and a channel to engage and understand customers. Our purpose is to help businesses extract the most value from it, as easily as possible. Piinpoint helps businesses find the best locations for expansion. PiinPoint is location analytics for business. Povio is a new kind of photo sharing app that makes it easier and more comfortable to start a conversion or, for example, start flirting. With Povio, your friends are the ones who ask you for your photo and the reason and joy to share it with them is created right there and then! PushBullet enables users to synchronize notifications and data across multiple devices. Rickshaw is a same-day local delivery platform that makes it simple for businesses to provide fast, dependable, high-touch deliveries to their customers. We use smart algorithms and savvy mobile apps for dispatch, routing, and tracking to ensure a high success rate and happy customers. Rocketrip provides an incentive based platform to businesses which significantly reduces T&E (travel and entertainment) costs by aligning employee interests with company policy. sendwithus is a tool for online marketers who need control and insight into the transactional email they send. Our goal is to help businesses send better email by employing a simple email content management platform. sendwithus integrates with existing email service providers like SendGrid, Mandrill, and Mailgun. Our platform provides insight into how customers engage with email, how individual emails perform, and then makes those analytics actionable through A/B testing. Shoobs is an online ticketing website that provides events with features similar to a Facebook fan page. Events listed on Shoob can have pictures, audio, video, comments, and more. SketchDesk converts sketches, notes, etc into a custom made designer slideshow. Customers either upload or email their draft slide deck to the site and within 24 hours receive the professionally designed version. StackLead provides customer intelligence as a service. It automatically delivers the research you need to understand new signups. We crawl the web and gather all the pieces of intelligence required to prioritize a new lead and their business. Style Lend (formerly Stylend) is a localized peer to peer community marketplace where women can list and rent their high-end clothing items for a fraction of the original retail price. SuperHost is a a property management service for Airbnb hosts. Taplytics makes native mobile A/B testing a breeze. With one line SDK integration, instantly get live updates to your users, no app store approvals, and real time analytics. TerrAvion provides high revisit rate aerial imagery for agriculture. Our “Overview” service offering focuses on high value crops in California like grapes and almonds. Overview is differentiated by an overnight data turn-around, a thermal band, a very high (weekly) revisit rate, and web delivery of data. Our data can be used by agronomic analysts to optimize irrigation, efficiently scout large areas for disease or other problems, and to support planning of harvest and other major interventions. Threadable is smart mailing lists for teams. Threadable improves group communication within teams by making emails more actionable. Threadable enables users quickly mute message threads and turn threads into tasks. hundreds of thousands of traders and enthusiasts around the globe. TrueVault is a HIPAA compliant database as a service. Healthcare applications use TrueVault to store protected health information (PHI). TrueVault provides all client-side and server-side functionalities required by HIPAA, and works just like any other API service. Typical integration takes days and saves months of development time. Two Tap’s mission is to make ordering products as simple as just confirming where you want a product delivered and how you want to pay for it. Unbabel offers an online translation service that combines artificial intelligence with crowd post editing to provide seamless translation. Vidpresso is a simple way for broadcasters, event producers and podcasters to use social media in their live productions. It’s designed to give the producer full control and confidence in using social media in their productions. Vidpresso allows users to broadcast content from Twitter, Facebook and Instagram. Weave is better software for dental practices that also syncs with dental software. Whirlscape makes Minuum, a tiny, one-dimensional keyboard that frees up screen space while allowing fast, accurate typing. Minuum uses a specialized auto-correction algorithm for imprecise typing, even if you miss every single letter. Wit.AI enables developers to easily build a Siri-like speech interface for their app or device. Wit.AI is an API that turns speech into actionable data, effectively Twilio for natural language. Zesty is a healthy takeout and delivery app. Zesty empowers people to order healthy food from a curated set local restaurants, displaying nutrition facts and beautiful photos for every dish. Zesty enforces special cooking instructions (e.g. no MSG or added sugar, minimal salt and oil). All dishes are categorized so they can filter for low carb, gluten free, paleo and many more options. Zidisha is the only peer-to-peer lending service to connect individual lenders directly with microfinance borrowers in low-income countries. Zinc makes Zinc Save, a service that makes it easy to save money when buying online. Our Chrome extension adds a button at the end of checkout on retail sites. Simply use the “Order with Zinc” button to find discounts and purchase with guaranteed savings. ZowPow Toys enables you to play your favorite mobile games with plush toy characters.